February is a great time to purchase any additional tools you may need for the upcoming garden season. If you're feeling fancy, we love this list. If you're looking to build your first garden tool box, we recommend these basics for the beginner. 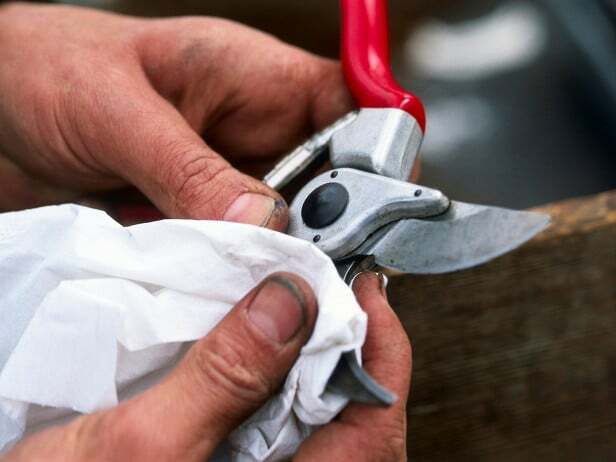 Its not exactly your parent's toolshed, but these tools will tackle the most basic and smaller-scale jobs suited for a novice gardener. You can always look for cheaper options, but be prepared for these to need replacing within a season or two. Its great to connect with the earth and feel the dirt between your fingers, but protecting your hands won't only keep them clean but also safe from thorns, irritants and bugs. You'll be a lot more confident and thorough in your work, especially reaching into piles of wet leaves and loosening root balls, if you can't feel the sometimes slimy textures of the garden directly on your skin. We love these gloves because they are fairly priced and allow for a lot more fine-tuned movement than other bulkier gloves. They even work on your touch screen phones! Check the size and be sure to have extras around. We usually use florist pruners for annuals, grasses and perennials. They are easy to handle, inexpensive and easy to pick up at just about any hardware store. For thicker, woody stems a good pair of Felcos will aways do the trick and with replaceable parts your investment could last a lifetime. It seems like you could just dig a hole with your new gloves on, but having a sturdy trowel cuts back on so much work. We recommend a broad blade that connects seamlessly to a metal handle sheathed in a rubber, wood or teflon grip. A seamless connection means a sturdier trowel, and more strength cutting through the earth. A depth gage etched into the blade is also very helpful in transplanting and bulb planting. Something like this is perfect! Though this tool is not necessary if you are restricted to window boxes, it is definitely a must if you're planting anything in a gallon pot or bigger. We recommend an ash handle with a rubber or teflon grip. The handle should feel comfortable in your hand and fit your height, or digging will be a lot more work (life hack: digging is a lot of work, its seems like its going to be rewarding but its actually so tiring, so be good to yourself and buy the right shovel for you). As with the trowel, its essential that the handle be securely bolted blade (the digging part of a shovel is called the blade). A sharp steel blade with a slightly pointed tip will help you cut through tough soil. You will see shovels with a flat edge, those are called border shovels, you don't need it right now. We recommend something like this. A high-quality, foldable pruning saw helps you cut through thicker branches your pruners can't handle (generally anything bigger than 1/2 inch in diameter). Pruning saws are excellent tools for repotting large container plants, cutting through roots to free root-bound trees and shrubs. Be sure to thoroughly clean any dirt and make sure the saw is dry in all the hinges before folding and storing. This is a tool you definitely do not want to leave out in the rain!! We'd recommend this one for the beginner. A lot of curating a garden is helping to trellis, stake and train plants to grow a specific way. This list of hardware comes with us on every maintenance and install and will help you Macgyver your way around the unruliest of plants. Make sure you take care of your tools and always store them in a clean, dry place. See our previous post for tips on cleaning, sharpening and oiling tools. Mounted plants are cool. There's really no way around it. When you mount plants onto a plank of wood and hang it up in your home like a prized piece of artwork, you become cool. It's as simple as that. So let's get started! First, so that while your guests are admiring your plant art you can give them the nerdy plant science behind your success, let's talk a little bit about the best plants for this project. We recommend pothos, philodendron, orchids, staghorn ferns, tillandsia, moss or bromeliads as these plants are either epiphytic or adapted to growing on the trunks and branches of trees. Epiphytes are a group of plants that have adapted to gathering moisture and nutrients through other means than soil, many times the humidity in the air provides all the water the plant needs. The greek roots of epiphyte means 'upon plant'; their roots attach to tree bark (or in some cases buildings and other structures) and secure a higher perch to afford the plant more access to light in places like rainforests where the ground is all but shaded out. Now you know. board to mount to - we used this one, complete with hanging hardware. You can forage for your own wood and using a picture hanging kit to attach hardware to the back. Nails & Hammer - If you use a solid plank of wood, you will need to add a ring of nails sticking out about a 1/4" around the base of where the plant will be to anchor the twine or wire to. Attach moss to plank under the area you want the plant to live. This will provide additional moisture and space for the roots to grow. Securely attach to the plank either through the slats or to the nails with the twine or wire. Remove the plant from the container and gently loosen the rootball and knock off some of the dirt so you have a sort of spherical ball that fits easily onto the plank. This lets the roots know its time to grow in a new direction and keeps the plant from being too mounded on the plant. This probably shouldn't be included as 'a step', but good job, you placed a plant on a plank. Cover all the soil with a generous layer of moss, getting in between the leaves. This layer of moss is what prevents the soil from spilling out onto your floor, so you'll want to do a good job with this. Starting in one corner use the twine or wire secure the mound of soil and moss to the plank. Go through the center of the mound in a criss-cross pattern, wrapping the wire or twine around the nails or wood slats at each turn. Finish by tying off discreetly and snipping off any excess twine or wire. Choose a spot with bright, indirect light (think bright sun filtered through sheer curtains). This plant art works well on its own as a center piece or as part of a gallery wall. To maintain: mist frequently (more often in dry months) to keep moss moist. About once a week put the entire plank in the sink and run under a light stream of water until completely heavy and saturated. Let dry in the sink leaning upright until it stops dripping (15-30 min) and re-hang. Pluck off any yellow or dried leaves as they occur. We'd like to close-out January with this MUST SEE VIDEO on managing your indoor plant relationships. Good luck!